Jason Somerville knows two ways: no way and all the way. He gravitates toward the latter. "When I was a kid and teaching karate, I was teaching karate six days a week. If they had let me teach on Sunday, I would have!" he said. So, it only stands to reason that at age 30--already a veteran of the poker industry in some fashion or other--that he's set to go all the way again. From his home in Las Vegas, Nevada, Somerville is about to embark on his most ambitious project to date. That's saying something for a guy who has already served as a trailblazer for what could be the future of broadcasting. As a teenager, Somerville lived the life of a poker fan, watching the likes of Chris Moneymaker and his contemporaries on television. In less than 15 years, Somerville had created his own brand of poker broadcasts, what people eventually came to call "streaming." "I streamed seven days a week, six hours a day, barely taking a break during the stream. The first few seasons, I think I took six five-minute breaks across 130 days of streams," Somerville said. "I have a very much either 'want it' or 'don't' mentality. When I want it, I dedicate every thought cycle I can to that project." Now, Somerville looks to the future. He's building something on a foundation he already poured with an amalgam of sweat equity and unwavering confidence. In doing so, he's creating an architecture for his future, and as a result, poker's future as well. In the year before poker enjoyed the collision of Chris Moneymaker's unlikely WSOP win and online poker, it also enjoyed a little lipstick shaped camera that let the world see players' hole cards. At the time, it was an innovation worth billions across the poker industry. Today, when compared to the kinds of offerings Somerville has promoted and created, those little cameras are almost quaint by comparison. "The hole card camera is not that old. It's only 16 years old itself," Somerville said, noting that it's still an important part of how the public sees the game played today. Nevertheless, Somerville wonders if that brand of content doesn't need some lipstick of its own, as it's grown a little stale, pale, and poorly defined. "There are still so many things that are done in terms of content in poker that are not optimal and done just because that's how they were done ten years ago," he said. "I ask why. Let's challenge those practices and see if we can't find a better way." That better way, as far as he is concerned, is a project he launched today. He calls it Run It Up Studios, the namesake of Somerville's popular Run It Up stream/website and its associated merchandise stores and casino live events. Its aim is to take the popular Twitch live broadcasting platform and use it to grow poker to a whole new level worldwide. To understand how Somerville could find himself at this point--one that is ambitious almost to the point of hubris--a person has to understand how Somerville became a star on his own. "When I was a teenager, I never thought, 'I'm going to be a poker player one day.' I thought I was going to be a businessman someday," he said. Nevertheless, by the time he was old enough to play legally, that is exactly what Somerville was. He played successfully online, and he could've continued to do that for as long as he wanted. "I get bored after a while doing the same thing. I have to find a new take on it," he said. So, out of a sense of both boredom and gratitude for those people who had taught him a lot about the game, Somerville began to broadcast himself live on YouTube, casually referring to himself as just a kid in a dirty basement. He found Twitch--an online streaming platform used most as an outlet for people to broadcast their video game exploits--and before long was its biggest poker star by a ridiculously large margin. Eventually--either by architectural design or by simple fate--Somerville realized he was becoming less of a poker player and more of a marketer. In other words, he was becoming the businessman he'd always dreamed of being. He took his basement operation bigger. He opened a merchandise store for it. He partnered with casinos for live events. He served as a broadcaster for one of the biggest and most prestigious tournaments in the world. Before long, he wasn't just thinking about being a businessman. He was doing it every day. It will come as no surprise to anyone who knows him that Somerville just couldn't see himself continuing that same grind every day. He needed something else on which he could go all the way. "After several years of being on the road, living rental house to rental house, basically living out of a suitcase, I really needed to stop and take a look at what I was doing and what I wanted to do next," he said. Run It Up Studios, Somerville said, is the logical next step to his life and career to this point, one in which he will give the streaming world his blueprint for success and work with people who are following him to create the newest innovations in the genre. It's tempting to look at Somerville simultaneously as a godfather and mogul, something in the vein of a latterday Dr. Dre who live streams poker instead of changing the world of rap. Somerville is a man who has innovated, succeeded, grown, and now is refining existing talent while looking for the newest of the new upstarts in the live streaming world. Somerville will brush off the Dre comparison faster than he'd fold a gutshot draw, but he won't deny he's looking to turn the Twitch world into something bigger than it's ever been. "Any person whose goal is to build the game of poker and be broadcasting content, I want to help them grow," he said. "Any other ally in that fight is someone I want to assist." Somerville isn't focusing on solely people like himself--self-described dirty basement kids looking to turn Twitch into the kind of platform television was for poker 15 years ago. He's thinking that and bigger and better than that. He wants to bring Twitch streams to live poker events like he has at the Aussie Millions. He wants to stream big tournament series. He wants it to be the platform for poker. He wants to do things we haven't even conceived yet. "I want to make it easier to stream. I want to make it more fun. I want to make it more profitable, more viable, and take all of that great content and show it off to the world," he said. It's been about a year since Somerville stopped streaming regularly for legions of fans. 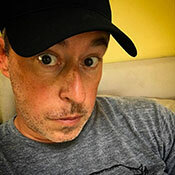 Rather than a black hole sucking the streaming concept into the ether, it filled in with broadcasters like Lex Veldhuis, Jaime Staples, and Parker "Tonkaaaap" Talbot, players who have proven to be adept and successful in their own right as they model themselves after Somerville's early work and innovate on their own. Somerville isn't jealous. In fact, he's ecstatic, because it proves what he believed what Twitch could become. Further, it's allowed him the time to take a critical look at the platform and figure out what's next. "When you're the solider on the field, battling every day, playing poker every day, it's hard to step back and see the big picture. There's still so much to be done," he said. Somerville sees countries underserved by Twitch. He sees languages that aren't represented in the broadcasting lineup. There are innovations that haven't even been considered yet, both on Twitch and with its poker partners. Why? Because there is an audience out there hungry for it. An incredulous writer some 14 years Somerville's senior might ask just how big that audience could possibly be. Somerville concedes there is a not-insignificant portion of the population who can't quite understand the concept of watching poker as entertainment. That disconnect becomes somewhat more refined when one introduces the idea of watching someone play online poker. It's not the Saturday night special you find in your Grandpa's TV Guide. "It makes even less sense if you think about watching people play video games," Somerville said. "The vast majority of Twitch is people watching video games being played. What it comes down to is that it's about personality, being entertaining, putting on a show. It's about engaging with your fans. When you're playing video games, there is no delay. Every joke you tell, your fans react to it. It's like hanging out with your buddy, but it also comes with some educational sides, too. It can teach you things about the game." "We ship hoodies to everywhere, including Africa, and Asia, and all these other places," he said. The broadcast quality has gotten better and better. What's more---and this is key--it's free. People will flock to free content if it's good. Last year, Somerville helped run a charity event at the Aria casino. During the event, there were 35,000 concurrent viewers watching a charity tournament with no real big money importance. "The fans will watch the content if the content is amazing. It's up to us to figure out what that is, put it out more often, and keep growing the game," Somerville said. And, Somerville, when feeling slightly more romantic about the concept, will admit there are things about Twitch that suit his free-wheeling and unregulated personality. It's a platform where anyone can take a seat. It is uncontrolled by traditional media outlets. There is nothing pre-cooked, frozen, pre-packaged, or sanitized about it. "There is something honest about Twitch streaming that I think is a beautiful thing," Somerville said. So now, Somerville is laying out his blueprints for a big-gunned campaign to change the world again. To do so, he's working with PokerStars, the biggest online poker company in the world, to take on the new evolution of Twitch poker. The relationship has been a long time in the making since that first meeting with Pokerstars execs. "I got blank faces. No one understood. I was like, 'It's YouTube...but live!' Nobody understood," he said. Eric Hollreiser, The Stars Group's Vice President of Communications, remembers it slightly differently. "I hired him precisely because he was streaming," Hollreiser said. "Jason proved the concept to us, and we built a platoon of streamers like him to play under our banner." There's certainly been an air of anticipation about Twitch Poker as early as 2015 when the high-brow magazine The New Yorker ran an article headlined "Can Live Streaming Save the Poker Industry" quoting both Jason and Hollreiser. Somerville and the people who followed him have proven the concept. PokerStars is working with established and up-and-coming poker streamers and featuring them on the PokerStars' Twitch channel and in a new section of PokerStars Blog dedicated to Twitch coverage. Somerville and likeminded streamers have proven Twitch to the point that PokerStars has decided to work with Somerville's new Run It Up Studios to build poker streaming around the world. "They understand why it's so amazing. They see the fan interaction. They see the engagement. They see how many people passionately follow the streamers that are playing on PokerStars, so it's great to see them embrace it," Somerville said. With that, Run It Up Studios is ramping up the effort it kicked off at the end of 2017. As it happens, Somerville looks across the American landscape as Pennsylvania begins to allow online poker, other states consider it, and the federal ban on sports betting dissolves. In America--and frankly on a scale as large as the poker world--Somerville's venture could be seen as a risky parlay of his success. Somerville doesn't see it that way. No one would deny Somerville's excellence, so it is now up to him to prove that he's more than a poker player, more than a poker streamer, and even more than the businessman he dreamed of being when he was a teenager. It's now up to prove him he can be an architect, too. He's confident he can build something like we've never seen. "I'm taking all those lessons and those resources I've gathered over the years. How can we make this bigger? How can we make this better? I think that ultimately goes to serve poker as a game across the globe," he said. Ultimately, that's what an architect does. He sees the big picture in his mind, and he builds it for everyone else to enjoy. That said, Somerville said he will never fully stop doing what got him to this point in his career. That is, whatever Somerville builds for the world, you can expect him to show up himself from time to time so he can enjoy it. "The fans have not seen the end of those dirty basement broadcasts," he said.